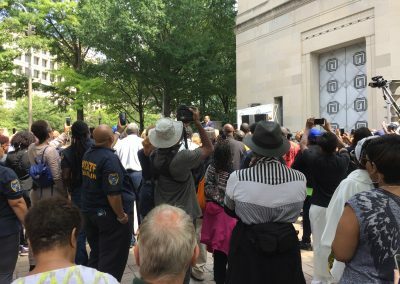 On August 28, the 54th anniversary of Martin Luther King, Jr.’s Dream, 3,000 ministers and lay people marched from his memorial to the Department of Justice. The purpose of the march, as explained by his son, Martin Luther King III was to show dedication to his father’s dream. The event was organized by the National Action Network (Rev. 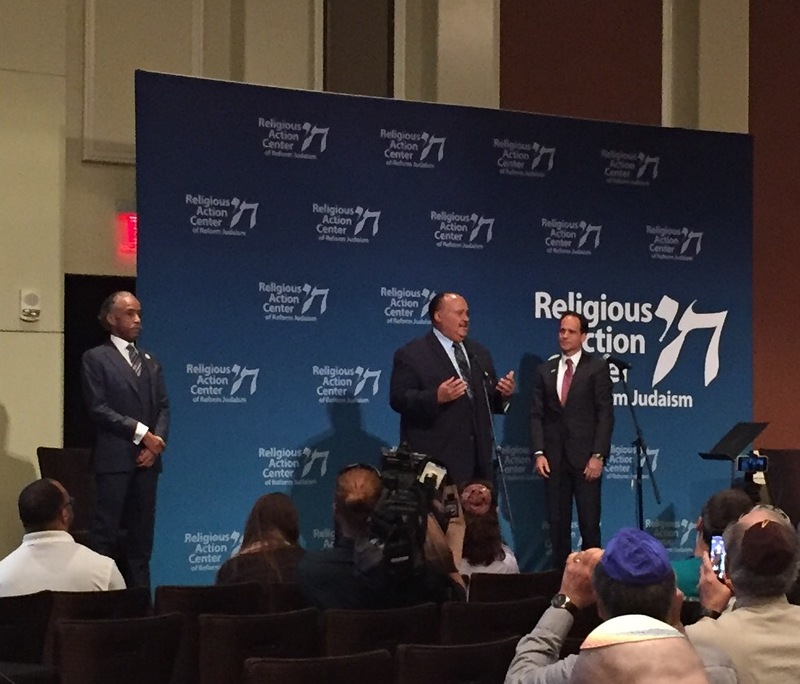 Al Sharpton) and co-sponsored by the Reform Movement’s Religious Action Center). 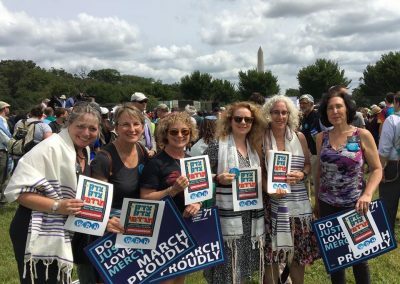 Post-Charlottesville, the march was even especially poignant for me as a rabbi. I have been speaking up and marching for justice always. 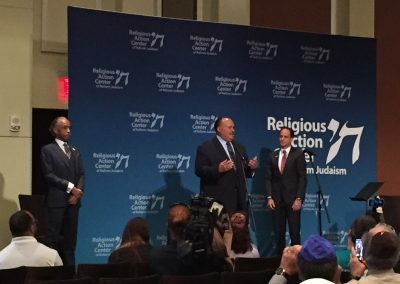 With anti-semitism at a peak and Nazis marching outside my friend’s synagogue in Charlottesville, it was meaningful to be in DC with friends from across the country, to stand together for justice for all. I drove to DC with my friend, Rabbi Mary Zamore, with whom I’ve attended many rallies this year. We stayed with colleagues, Rabbis Joseph Skloot and Erin Glazer. Joe is currently serving Washington Hebrew Congregation and taught a Jewish History class here a few years ago. Erin works at Mazon. 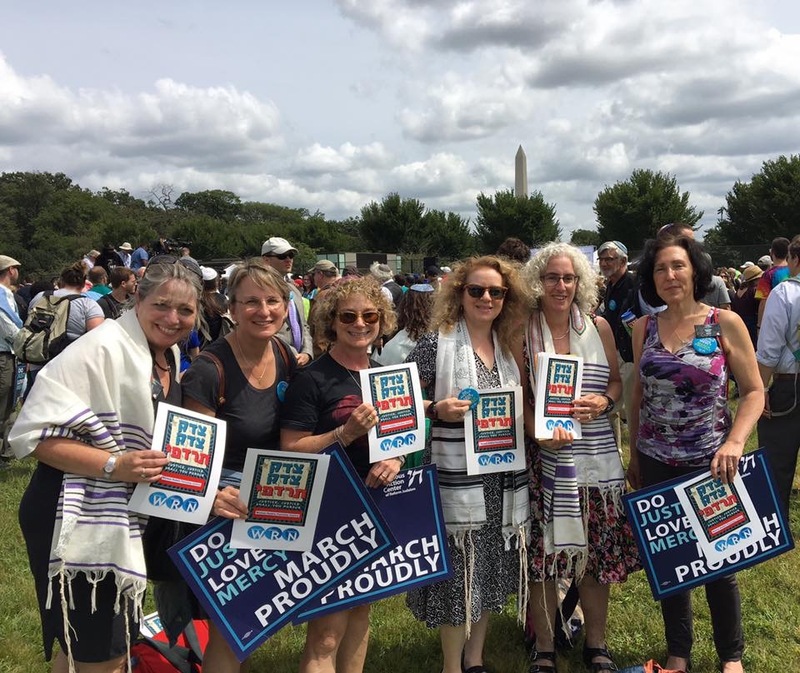 I spent most of the march with my classmate, Rabbi Sissy Coran. Sissy and I noticed we were each wearing the Ethiopian tallit we bought in Jerusalem during our first year of rabbinical school at HUC-JIR. 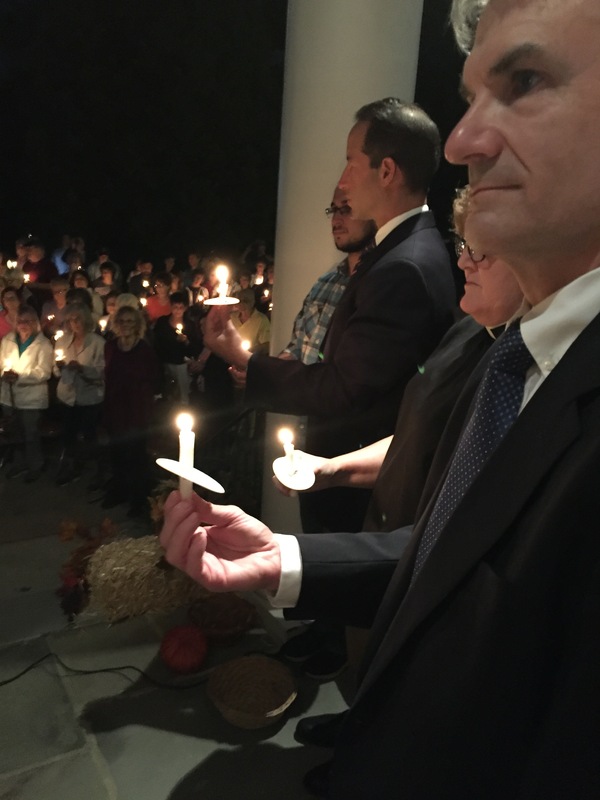 It was inspiring to be with a diverse crowd of people and hear speakers from across the religious spectrum. One speaker reminded us how 54 years ago, Black people attending that march had to travel in the back of the bus and pack food for many days because no restaurant would serve them. Knowing how exhausting it was for me to comfortably drive there last week, it was sobering to reflect on that reality. But there is still much work required work in our own communities to ensure we are part of a movement and not a moment of pursuing justice. 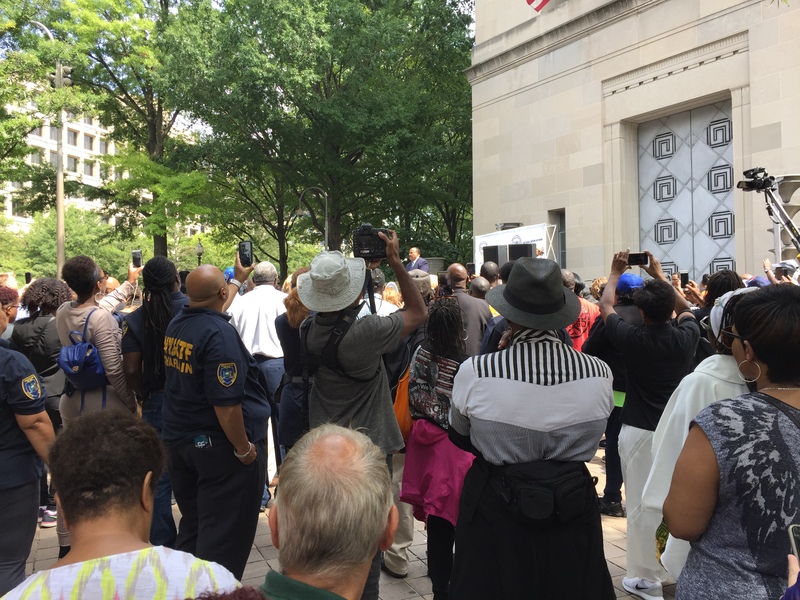 Temple B’nai Abraham is, of course, familiar with the March on Washington for that is also when Rabbi Joachim Prinz, z”l, shared his famous speech on what his experiences in Nazi Germany taught him. This is why I went to Washington DC and why I continue to speak out for justice. If we don’t raise our voices and work to improve society, then injustice will prevail. 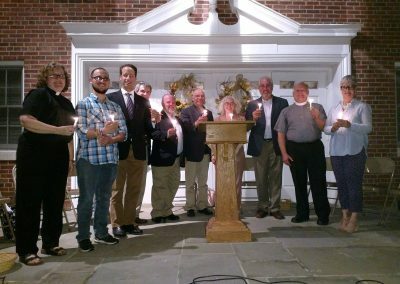 One week later, on September 4. the Livingston Community Vigil: Unite against Hate was held at the Presbyterian Church. 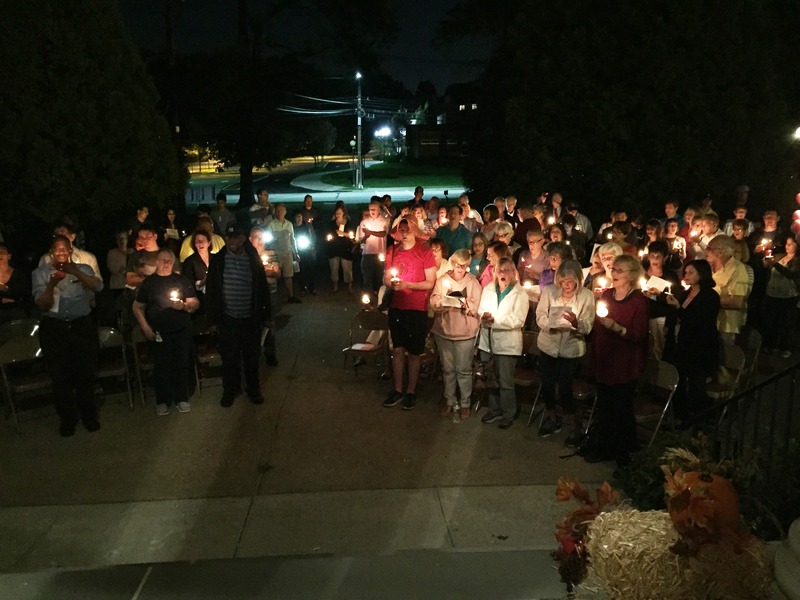 The Livingston Clergy Association and the Livingston Diversity & Inclusion committee cosponsored this vigil with support from the Town Council. 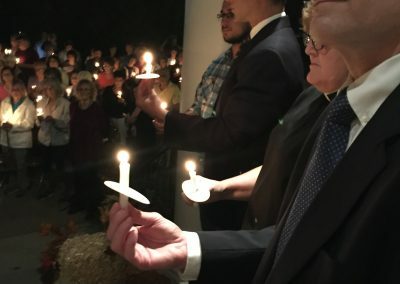 With prayer, song and candle lighting, we lifted our voices and extended the light of love to banish darkness. My name is Faith Joy Dantowitz and I am a rabbi at Temple B’nai Abraham on Northfield Road. It’s almost Rosh Hashanah, the Jewish New Year. As part of our prayer, we will blast the shofar. The religious obligation does not lie in blowing this ram’s horn, but in hearing it. To wake up to the call of suffering around us. Between us. Inside us. We must hear the call and respond to it. The call of Houston. Engaging in acts of hesed—loving kindness. Responding to the crisis of Climate Change. The call of Charlottesville. 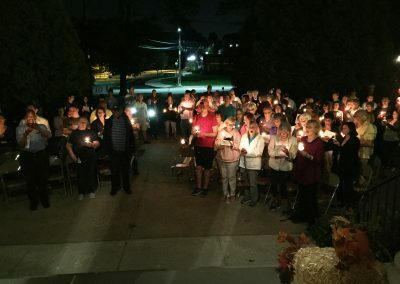 Responding to Nazis marching outside a synagogue in 2017. The call of Syrians and immigrants in need. My predecessor, Rabbi Joachim Prinz, was the rabbi of Berlin in Nazi Germany before coming to Temple B’nai Abraham. He spoke 54 years ago at the March on Washington, Reverend King’s shofar blast to all people. A contemporary colleague, Rabbi Michael Adam Latz, recently updated the resounding words of Reverend Martin Niemoller’s poem of rebuke to the aloof German intellectuals in the face of Nazism. But this time, as a shofar-call to action. Because God does NOT make mistakes! Because I am my sisters’ and my brothers’ keeper. Because women hold up half the sky. Because I remember the ideals of our democracy. Because they are my cousins and we are one human family. Because the blood-soaked land cries and the mountains weep. Because we Jews know the cost of silence. We remember where we come from. and THAT just won’t stand. Thank you all. I hear your voices today. And they call me, anew, to justice.